Perhaps the old man knows better than anyone how water droplets, it picks the strings of his life tied to the yard organisms spin cycle…. 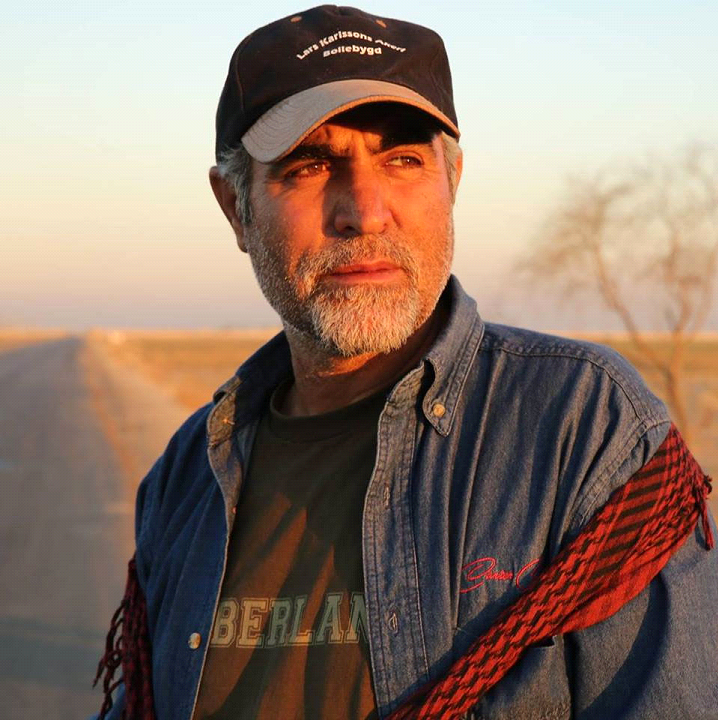 Jalal Saed Panahi was born in1966, Iran. He received a diploma in acting in theater (1991/Sanandaj-Kurdistan), diploma of cinema in Younger Cinema Department (1993/Sanandaj -Kurdistan), Assistant Director and programmer at Iranian Cinema House. Filmography: Anha hichkas ra dost nadarand, 2009; The Sound of Rain, 2011; Black & White, 2013; Ice Water, 2015; 1- Sartash Khane (Actor/1992) Director (Bahman Ghobadi) Rewards: Tehran short film Festival (Best Actor) 2- Television Dar khial (Director/1993) 3- Sedaye Saz Miayad (Director/2004) Rewards: Tehran Cinema Farda Festival (Best Film) 4- Anha hichkas ra dost nadarand (Director/2008) 5- Sedaye Baran (Director/2011) 6- Niva Mang (1st Assistant Director) (Director: Bahman Ghobadi) 7-kohestan Ghandil (1st Assistant Director) (Director: Taha Karimi) 8- The Bridge (1st Assistant Director) (Director: Shahpour Shahbazi) 9- Aftab Posht Barf (1st Assistant Director) (Director: Reza Sobhani) 10- Lakposht ha parvaz Mikonand (1st Assistant Director) 11- Avazhaye Sarzamin (1st Asistant Director) (Director :Bahman Ghobadi) 12- Rah Siar (1st Assistant of Director) (Director :Hesham Zaman) 13- Doul (1st Assistant of Director) (Director: Honar Salim) 14- Siah Zangi Tehran (1st Assistant of Director) (Director: Ebrahim Ebrahimian) 15 Shokofe haye sangi (1st Assistant Director) (Director: Azizolah Hamid Nezhad) 16- Ashke Sarma (1st Assistant Director) (Director: Azizolah Hamid Nezhad).